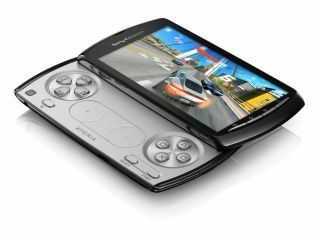 Virgin Media has confirmed that it will be offering the Sony Ericsson Xperia Play in its range of handsets. The Virgin mobile network will offer the PlayStation-certified handset pre-loaded with six games this month. The phone will be available for no extra cost on a 24-month £40.85 contract (ouch) bundled with 1,200 minutes, unlimited texts and 1GB of mobile data. It will also be available on a range of other two-year and 18-month contracts. The handset may not be to everybody's tastes, however, with TechRadar's Sony Ericsson Xperia Play review handing the phone just three stars. "The Xperia Play is too pricey for casual gaming, while we'd suggest serious gamers would be better served by picking up a full-on mobile console," suggested the review. Still, if you can't wait for the Sony NGP and the Nintendo 3DS makes you feel dizzy then maybe it's an option.